Christie is an editor and the lead science writer at FiveThirtyEight (at ABC News). Read her FiveThirtyEight stories here. 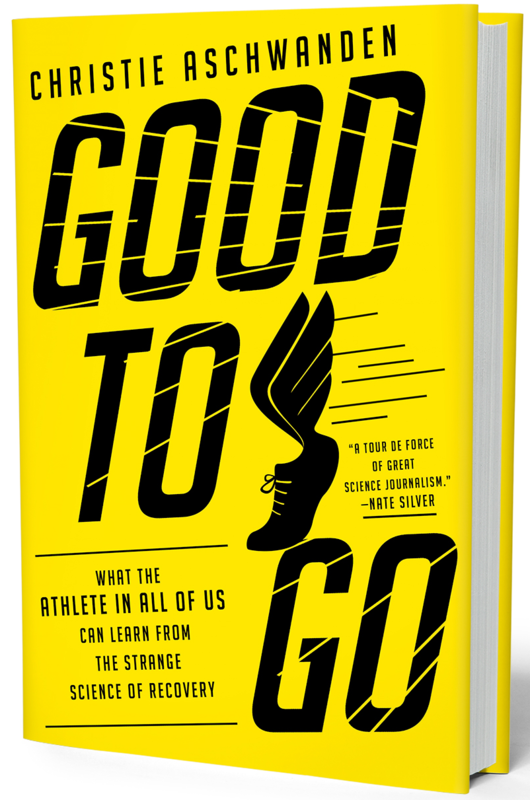 Learn about her new book, GOOD TO GO: What the athlete in all of us can learn from the strange science of recovery on the book’s page. Christie has written articles, essays and book reviews for more than 60 publications, including newspapers like the New York Times and Washington Post, scientific publications like the journals Science and Cell, online sites like Slate and Grist, and magazines like Popular Science, New Scientist, Runner’s World, and O, the Oprah Magazine. Here is a small sampling. A special report on a tick-borne illness. Structured workouts can take you far if you seek cycling glory. But if you just want to mix fitness and fun into a busy life, we can make it shockingly easy. When it comes to Tyler Hamilton, the most interesting question isn’t if he’s guilty or innocent of doping, but why each of us has chosen a side. 97% of the breasts we tested harbored bacteria that could make you sick. So why are they treated as if they are? Meet survivors who lived to tell their stories—and help others get through their darkest hours. The cheap beer manufacturer gave Super Bowl watchers a cheap cry, at the expense of U.S. Veterans. Sure, your brain is a wonder. But some cognitive scientists argue that without the help of your body, your brain would be nowhere. A burgeoning wine industry takes Colorado agriculture uptown. Is It or Isn’t It (Just Another Mouse)? What the fight about the Preble’s meadow jumping mouse illustrates about the Endangered Species Act. After a federal panel pulled back its recommendations for screenings, a debate continues to rage about the wisdom or risk of it. Despite the pink ribbon push, cancer deaths have dropped only slightly. And the focus on awareness may be pushing more women into treatment unnecessarily. More are using electronic forms of communication such as personal Web pages, e-mail, Facebook, Twitter and blogs to share medical news and updates. They can spread the word quickly, but critics believe such news demands a more personal approach. More patients use the service for end-of-life care. But what is it? Bicyclists must obey all the traffic laws that motorists do, but safety tactics may also help riders avoid accidents. Bikes and cars: Can we share the road? With more bikes on the road, drivers are frustrated — and cyclists are at risk. Now’s the time for changes. Study: Genes may detemine if you’re a fitness fanatic or a couch potato. The exams can lead to treatment for breast cancer that, ultimately, wouldn’t have caused harm. Are You Getting Too Much Medical Care? First, do no harm—that’s what medical students are taught. Yet unnecessary drugs and tests, along with overly broad definitions of health conditions, can set you up for unexpected damage. What If Everything Your Doctors Told You About Breast Cancer Was Wrong? For years, scientists have known that mammograms are largely ineffective. Why can’t we get that message across? Flying’s moral dilemma: Your family or your climate? How to protect wildlife from the impact of roads. Altering DNA could be the next frontier in sport doping. Review of What Makes Olga Run? Talent Lies Within. But Where? Christie Aschwanden learns that this very human impulse isn’t necessarily a negative one—and can lead you in positive directions you never expected. Could You Find Contentment in Your Own Backyard? Christie Aschwanden spent her youth traipsing around the globe—until she discovered what it meant to find contentment in her own home. What’s So Great About Normal, Anyway? A psychiatrist explains how your most worrisome idiosyncrasy might be your greatest gift. Doctors, drug companies, and the Food and Drug Administration have assured us that generic drugs are identical to their brand-name counterparts. But some experts feel otherwise. Do You Know What’s on Your Medical Report? Skydiving, smoking, even your driving record may be in your file. When it comes to new treatment guidelines for breast cancer, back pain and other maladies, it’s the narrative presentation that matters. A ductal carcinoma in situ diagnosis can spur premature action. Should it be called cancer? A new name might mean a different approach, because, what if it’s nothing? Taking a vitamin won’t make you healthier and might even hurt you. A (somewhat) scientific look at how a postrun pint affects your favorite activity. Got questions about setting the right race pace? We’ve got answers. How to avoid (and recover from) the most common running injuries. Think strong words. Repeat inspiring phrase. Run even better. 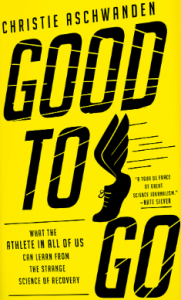 A runner finds a physical outlet for emotional suffering. When you’re hurt, speed recovery by finding the best specialist for your injury. Enduring Questions: Why Do We Suffer? Running can hurt. This is one runner’s quest to understand the bittersweet symphony. Why would anyone run all night through some of the West’s most rugged mountains just to help some other guy finish a completely ridiculous race? Christie Aschwanden went to the Wasatch Front 100-mile ultramarathon to find out. The right drug can relieve pain and discomfort—or put you in a world of hurt. What’s the idea age to run your best marathon? To find out, we asked top scientists, coaches, and elite athletes about the impact of aging on endurance. Their answers might pleasantly surprise you. Finding the fine line between training hard and overtraining. More evidence that routine mammograms make healthy people sick. For a year, I stayed within 100 miles of my house. It’s the best decision I ever made. My high school coach was like a dad to me, until he abused my teammate and violated us all. Mammograms aren’t useless. Whether you should get one, though, depends on a variety of factors. They’re expensive, they don’t improve performance, and they might make you test positive for dope. Do birth control pills make women gain weight? Does testing athletes for concussion with fancy software do any good? A dangerous new plan to screen 11-year-olds for their risk of heart disease. Does making love make you well? If statins carried a rare but serious side effect, would we ever find out? Some studies say coffee is good for you; others say it’s bad. The scientists are just as confused as we are. When is it kosher for doctors to prescribe placebos? Behind the scenes there will be a high-tech, high-stakes competition between Olympic athletes who use banned substances and drug testers out to catch them. Happy reunions can obscure the challenges that military families face after deployment. Many women use an OB/GYN as their main doctor. Should they? Can Pets Make Us Healthier? After trigger point dry needling, a runner’s injury heals. But did the technique do it? I don’t love my treadmill desk. Platelet-rich plasma treatment is popular for sports injuries, whether it works or not. Too much practice and specialization can hurt instead of help child athletes. Sidebar: Is 10,000 hours magic or not? How to refuel after a workout without undermining your hard work. Does CrossFit push people too hard? Understanding suicide, which is surprisingly common in spring. Making sense of new studies questioning mammograms: Is the test worth having? Is Your Doctor in Good Standing? How to protect yourself from medical identity fraud. A first step: Don’t tweet health issues. How to fire your doctor. Rule One: Make sure you have another one lined up first. Memory worries? Don’t bother with vitamins and supplements. Just get some exercise. Gene-testing kits promise a lot. But does your DNA say much about your health? Is it ever right to choose not to do CPR? I blog at Last Word On Nothing, an independent, non-commercial labor of love among a small group of friends. Find my latest posts here, or peruse a few of my favorite posts below. A summary of the data and survey results presented at our conference on women in science writing and a recap of the solutions we discussed and our next steps. Why y’all is a feminist term. Spoiler: her initials are not LA. How sexual harassers make it hard for victims to speak out. This is a discussion about an uncomfortable subject—an emotion that everyone has felt, but no one wants to admit. Envy—it’s a four letter word. I Did It Dad! I LOVE This! The Impasse: When the “truth wins” assumption fails. Is breast cancer threatening your life? This Susan G. Komen for the Cure® ad leaves no doubt about who’s to blame —you are. When is it time to revise our story? Let’s stop pretending we give a damn about climate change. You’ve got mail, you idiot! What reader mail has taught me about science writing.